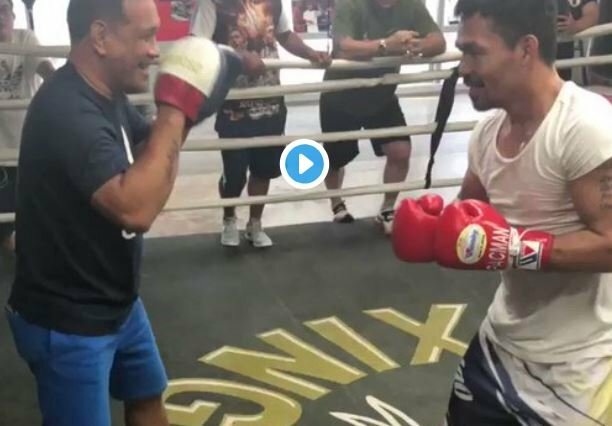 Manny Pacquiao has kicked off his boxing training for Adrien Broner on January 19th in Las Vegas after returning to his home country. When this fight was first announced I was intrigued but I have to admit, the closer it gets and after seeing Pacquiao and Broner meet in person, I’m even more intrigued now. I think this could genuinely be a cracker with the clash of styles and what the fight means for both guys at this stage of their careers. It’s going to be a fun build up ahead of January 19th, no doubt.